Maine lawmakers will decide fate of ranked-choice voting. Signs point to repeal. 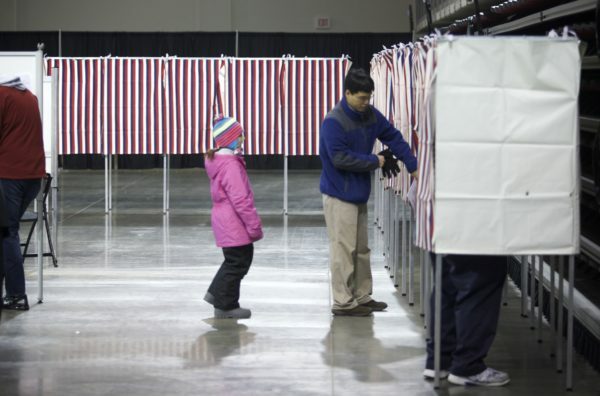 AUGUSTA, Maine — Protected by Maine’s high court, a key group of Democrats looks open to eventually joining Republicans in repealing the state’s pioneering ranked-choice voting law before the 2018 election. The opinion is non-binding, but it threw the law into question and led to dueling legislative proposals to deal with the problem: Senate Majority Leader Garrett Mason, R-Lisbon Falls, wants to repeal the law, while Sen. Catherine Breen, D-Falmouth, wants to amend the Constitution to allow it. With legislative Republicans and Gov. Paul LePage united on repealing the law, Democrats hold the cards on whether it’ll survive and, if so, in what form. Some key Democrats are open to repeal. Sen. Bill Diamond, D-Windham, a former secretary of state, said the court’s opinion makes it “clear that it has to be repealed.” Diamond said he wouldn’t support a constitutional amendment, calling it a bad practice to pass a law first and an amendment allowing it later. “Now that it’s been determined to be unconstitutional, I don’t think it’s our job to necessarily find a way to make it work,” he said. Positions like Diamond’s cast repeal as the likeliest option of five choices that are less than ideal for legislators caught between defying voters’ will and the Constitution. They could repeal the law, which takes majority votes in the House and Senate. To pass a repeal, they need a simple majority vote in both legislative chambers. Republicans control the Senate and Democrats only have a 75-71 majority in the House of Representatives, with five independents. If all the independents vote against repeal, Republicans need just five Democratic votes there to pass it. Mason’s bill is co-sponsored by three House Democrats and others expressed openness to it in interviews. Rep. Gay Grant, D-Gardiner, said she told her caucus last week not to expect her support for an amendment and that her party’s leaders aren’t pushing any position on the issue. Other Democrats may vote for the amendment, then vote for repeal if the amendment vote fails. Rep. Martin Grohman, D-Biddeford, said on Monday that was his probable course of action. They could pass a constitutional amendment allowing ranked-choice voting, but Republicans would block it. Breen’s amendment would need a two-thirds vote in both legislative chambers before going to the voters for ratification in November. That threshold positions Republicans to block it, and Senate President Mike Thibodeau, R-Winterport, has said it won’t pass. They could implement ranked-choice voting for primary and federal elections, but even Democrats aren’t fans of the dual system that would create. The court’s opinion didn’t address the law’s constitutionality when it comes to primary and general elections because the parts of the Constitution that affect ranked-choice voting apply only in state general elections. While proponents want an amendment, they have a backup plan, arguing on Friday that the Legislature could implement the law, but only for primaries and congressional elections. Grohman, Grant and Rep. Louis Luchini, D-Ellsworth, the co-chairman of the Legislature’s committee with oversight of election laws, all said that they’re against that kind of partial solution. Republicans also wouldn’t go for it, so it’s unlikely. They could do nothing, which would fully implement the law, yet invite a potentially disastrous legal challenge. “Nothing” is seen as the Legislature’s worst option, forcing Dunlap to implement for the 2018 election a law that has already been deemed unconstitutional. So, a losing candidate could contest an outcome formally or informally. At worst, that could put the legitimacy of somebody poised to become Maine’s governor in the middle of a messy court battle during the winter, when the winner should be leading a transition of power. They could delay the law, but that seems unlikely for now. There’s precedent in the Legislature for delaying implementation of voter-approved measures by studying bills or carrying them over to another session. For now, Maine is tracking toward action, and it doesn’t look good for ranked-choice voting supporters.